Packing is one of the least enjoyable aspects of moving for many people. Whether you’ve been in your house for two years or two decades, you probably have more stuff than you know what to do with. Fortunately, there are ways that you can lighten your load before you begin to box your household belongings. As an experienced long distance moving company, 495 Movers knows how to help our customers enjoy an easy, efficient relocation process from start to finish. 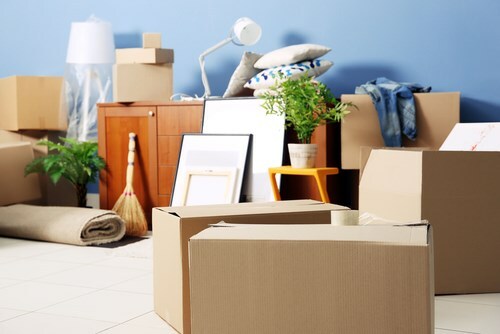 One of the best ways to prepare for your move is to host a moving sale, and we’ve got tips below to help you maximize profits while eliminating unnecessary items before you relocate. Consignment Shops: If you have clothing, handbags, or jewelry that are in good shape and still in fashion, a consignment shop can be a great way to make some extra cash. Auction Houses: Have antiques that you want to part with? An auction house can be help you sell unwanted items. If you aren’t sure whether a particular item has value, your local auction house can help you assess the value. Online Auctions: When you’ve got niche items, like an old video game that players look to for nostalgic reasons, an online auction site such as ebay is the perfect way to reach your intended audience. Garage Sale: For everyday household items that don’t hold particular value, a garage sale can be lucrative. As full-service Maryland movers, we offer secure storage solutions to accommodate both short-term and long-term needs. Whether you want to store large items while your home is being staged for sale or you need an out of the way place to keep unsold items, our state-of-the-art facilities are the ideal solution.